Coldplay’s Chris Martin says he and the rest of the band “don’t care” whether or not they’re considered relevant as they gear up to release their latest album Mylo Xyloto. “You can’t take anything for granted anymore. It doesn’t matter if you used to be big or used to be famous, you’ve got to prove yourself all over again. We don’t have any immediate touring plans. We’ve just got to wait and see if anyone is interested in listening to the album,” he said. I guess the “I don’t care anymore” stance is a pretty easy one to take after you’ve established yourselves as one of the biggest bands of the last decade, raked in millions of dollars and (at least in Martin’s case) are married to an A-list Hollywood actress who makes sizable bank herself. But in a way it’s still admirable that Coldplay wants to make music they like and aren’t obsessed with fitting into whatever is getting spins on radio. 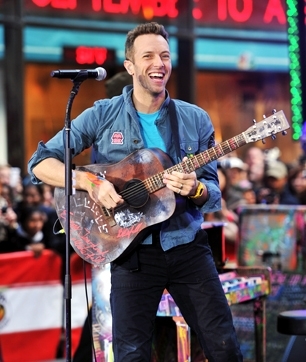 Mylo Xyloto is slated to come out October 24. The first single “Paradise” is available now. The band is also set to play a few UK dates December, with shows at Glasgow SECC on December 3, the Evening News Arena in Manchester on December 4 and London’s O2 Arena on December 9. tomorrow at 9am. All Points West Festival Returns for Another Year, but do I care enough to go?